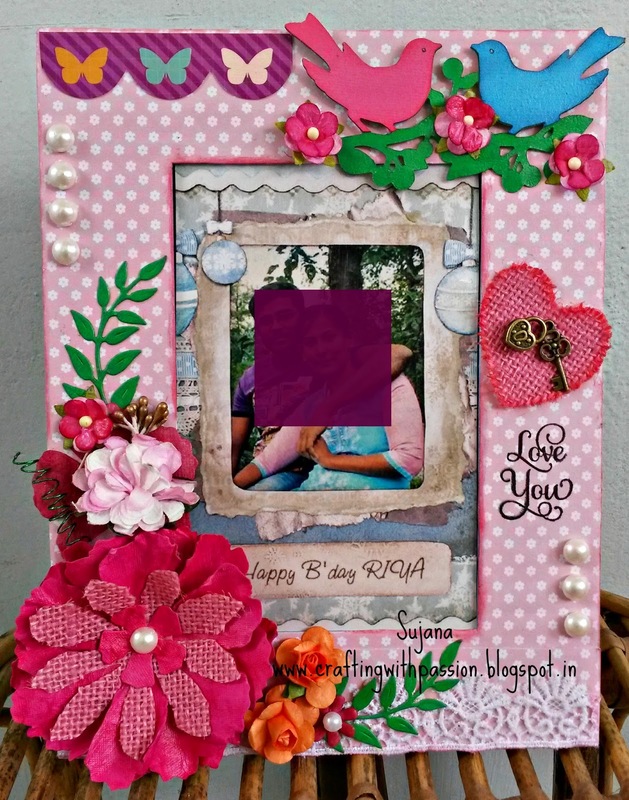 Crafting With Passion: Back with a bang!! First of all, wish you all a Merry Christmas. Hope it was fun all over. Ok here is the story, i have been crafting regularly and crafting crazy most times but since am in a tight schedule, my blog has been compromised. Also usually i post according to few challenges alive out on our blogland and hence most projects of mine go on the waiting queue. I have decided to put a stop to that. I dont need to participate in any challenges, i just need to blog and keep it rocking and rolling. The satisfaction u get when going through the blog surely doesnt come the facebook page. So as the New Year comes by, here is my resolution to keep my blog active and to keep me satisfied. So how do you think it is? I love adding texture to flowers and here a layer of burlap is added in this Tattered florals flower. Also the charms are sitting on a layer of burlap heart. And this Love bird die, i bought it from Itsy bitsy wen i visited one of their physical stores in bangalore. And also i hope everyone is going crazy with the Christmas sale all over. I utilised this opportunity since i had my bday last week..... lucky me!!!! Welcome back ,Sujana! And belated birthday wishes. Your frame looks so beautiful. Love the touch of burlap for texture. Love the frame Sujana !! Welcome back and wish you a fab 2015 !! 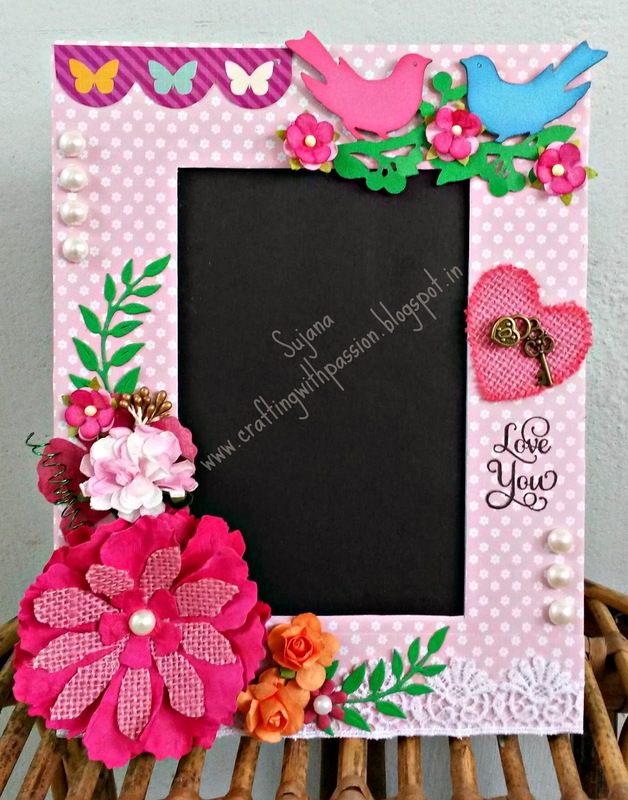 Welcome sujana...n and wat n bang with this pretty frame...loved the burlap flower ...and wish u a very happy belated birthday dear...keep rocking. A mini, from a dotting daughter! !